Click on the various links below to explore more in-depth research and background information here. 2. Spurling Cemetery headstones BEFORE preservation work in 2016. 5. Spurling Cemetery headstones AFTER preservation work in 2016. 9. This annotated GPR map indicates (in red) the headstones and footstones discovered by shallow probing, the GPR survey, and research provided by descendants. SpurlCemeGPR_Figure1_annotated. 10. 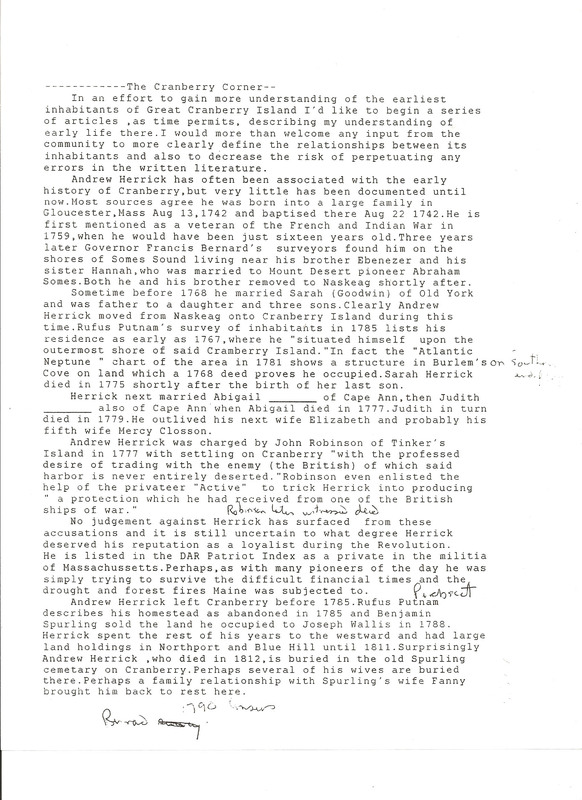 Information about Andrew Herrick was provided by descendants Andrew and Steve Herrick in 2009 and 2016. 12. Cranberry Chronicle December 2016 article about the project: SpurlCemDecNewsletter.